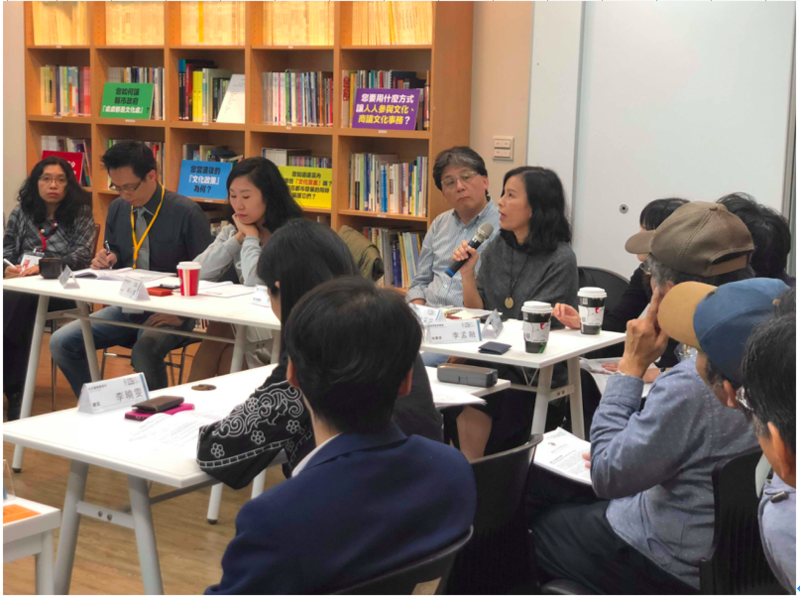 The Asian Network of Cultural Intermediaries (ANCI) convened its first forum at the National Taiwan University of the Arts in Panchiao, New Taipei City on 2nd and 3rd November 2018. 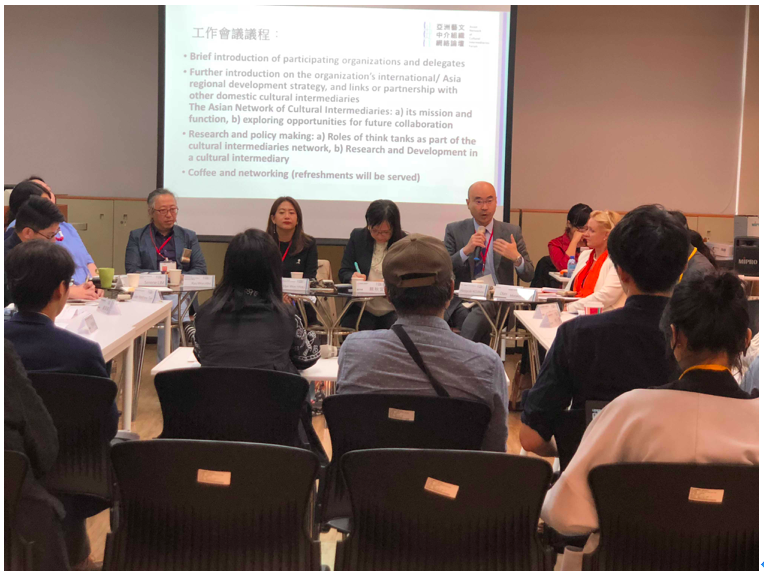 Hosted by the Taiwan Association of Cultural Policy Studies and the National Taiwan University of the Arts, delegates came to share their expertise and discuss the roles of cultural intermediaries in cultural governance. In the morning of 2nd November, The Taiwan Cultural Intermediaries Summit Forum invited distinguished guests, including HSIAO Tsung-Huang (Deputy Minister of the Ministry of Culture, CHEN Chih-Cheng (President of National Taiwan University of Arts), PENG Chun-Heng (CEO of the National Culture and Arts Foundation), LIU Yi-Ruu (Executive and Artistic Director of the National Theater and Concert Hall, National Performing Arts Center), and CHEN Pin-Chuan (Director of Taiwan Film Institute) to debate the roles of their organisations as cultural intermediaries in Taiwan. The discussants, Diane Dodd (Regional Advisor, International Federation of Arts Councils and Cultural Agencies, IFACCA and President of International Institute of Gastronomy, Culture, Arts and Tourism, IGCAT) and Hiroyuki Kojima (Managing Director of Planning Department, Japan Foundation) joined the conversation and offered valuable comments from an international perspective. Two more forums took place in the morning of 3rd November. Firstly, Diane Dodd from IFACCA, Serene Lim (Director of Policy and Planning Department, National Arts Council Singapore), and Rosemary Hinde (International Development Manager North Asia, Australia Council for the Arts) presented each organisation’s strategy and policy plans. Iris Du (Director of Research and Development Department, National Culture and Arts Foundation, NCAF) also responded in the forum with relevant strategies in NCAF. In the last forum, Hiroyuki Kojima from Japan Foundation and Kyu-Won KIM (Director of Cultural Leisure Policy Research Division, Korea Culture and Tourism Institute) and Hye-won Yang (Director of Art Policy Research Division, Korea Culture and Tourism Institute) presented the planning cultural diplomacy and cultural relations in Japan and South Korea respectively. 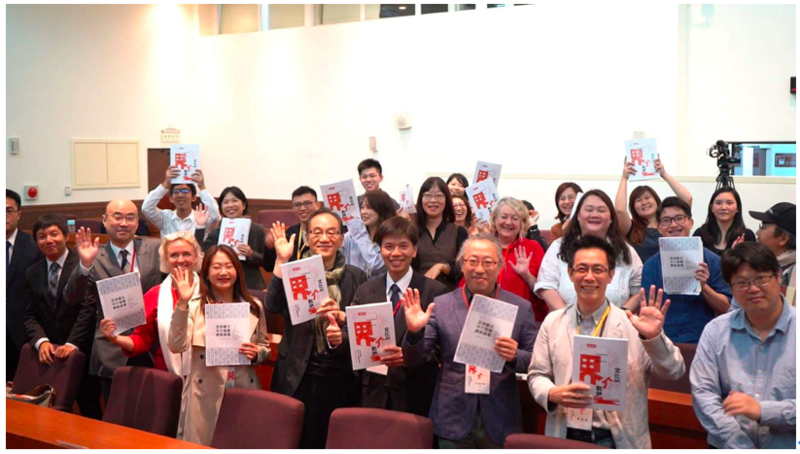 Following the Summit Forum on 2nd November, ANCI invited delegates from international organisations and representatives from Taiwanese arts and cultural organisations to join the work meeting in the afternoon. It is delightful to see delegates from Ministry of Culture, The Chinese Association of Museums (CAM), Association of the Visual Arts in Taiwan, Performing Arts Alliance, Taipei Performing Arts Center, Taipei Artist Village and Treasure Hill Artist Village, Taiwan Art Space Alliance (TASA), Songshan Cultural and Creative Park, Huashan 1914 Creative Park (TCID), and Taipei Art Economy Research Centre to share their viewpoints on the role of cultural intermediaries. In the meeting, the participants explored opportunities for further international collaboration and exchanged their expectations of ANCI. Participants of the 1st Asian Network of Cultural Intermediaries Forum (ANCI Forum) concluded that, an Asian network across various cultural sectors and art professions is necessary and required, as it would serve as the hub and platform for the meeting up of cultural practitioners, researchers and professionals in the region. The participating institutions encourage the flow of ideas, research results and updated event information within and without the network. Through exchanges and cooperation, ANCI dedicates to identifying the best practices of cultural management and governance among varied cultural intermediaries in Asia, including the Arts Council, Cultural Agency, Cultural and Exchange Foundation, or Film, Tourism and Research Institute. Cultural intermediaries encounter common issues and concerns on government regulations, artists’ mobility, tax incentives, cultural funding, art space, international exchanges, freedom of expression and cultural censorship. Through research, these issues can be explored and investigated across different areas. ANCI has the potential to perform as a cultural think tank, which provides concrete cultural policy advocacies based on solid research and pragmatic experience of regional cultural practices. 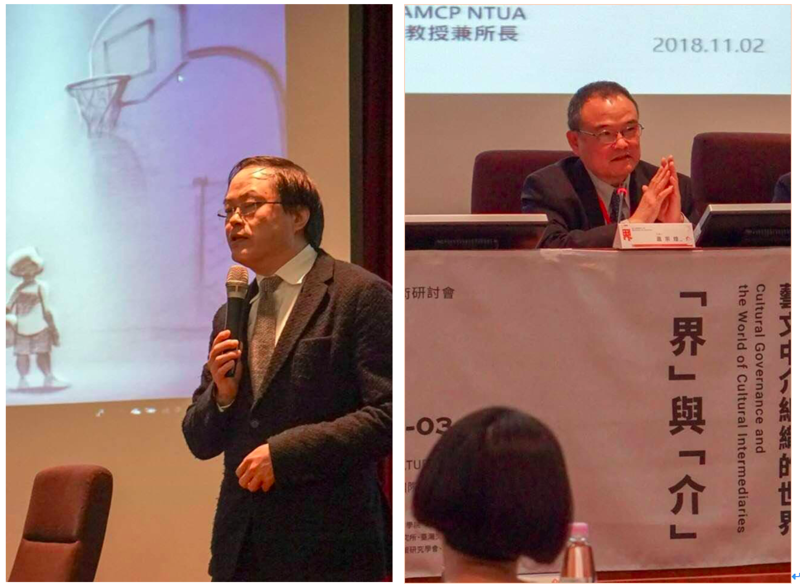 The hosting institutions of the 1st ANCI Forum, Taiwan Association of Cultural Policy Studies & National Taiwan University of Arts, in collaboration with all national and international cultural partners, welcome new initiatives on specialised cultural forums, joint research projects, and all forms of cultural collaborations in the near future. 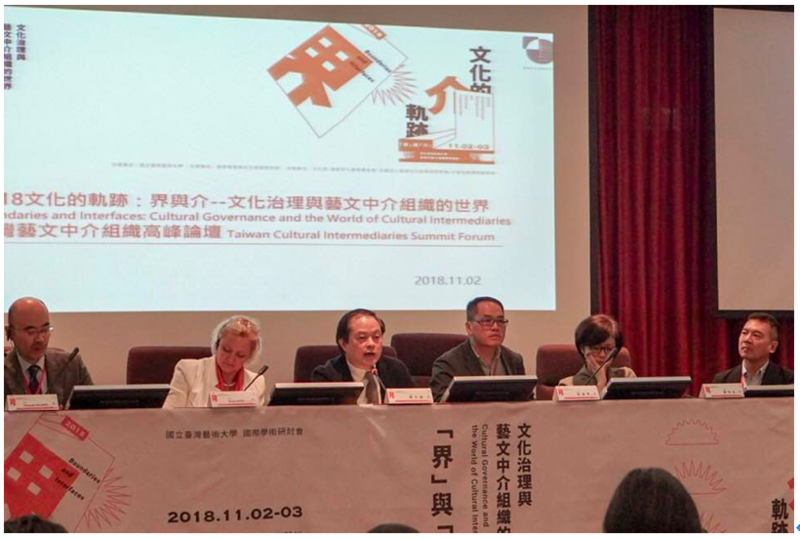 With support from Ministry of Culture, National Culture and Arts Foundation in Taiwan, we expect that the next ANCI Forums play a more prominent role in the sphere of international cultural governance, connecting and networking all the participating international cultural intermediaries and the local cultural partners.